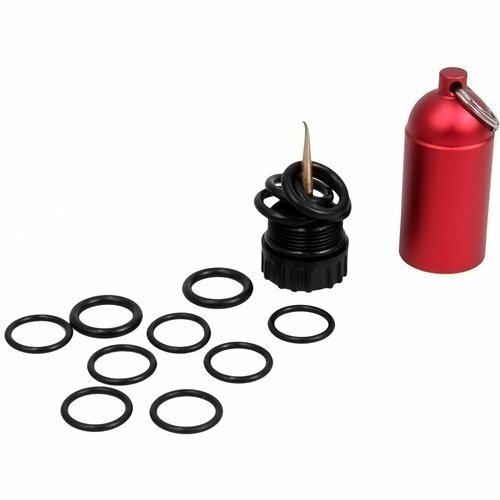 Just mounted your regulator on your cylinder, turn on your air and you have an O-ring leak. Not having spares in your save-a-dive-kit can make the difference between a making great dive and sitting on the beach or boat and not getting wet because you did not have a spare. 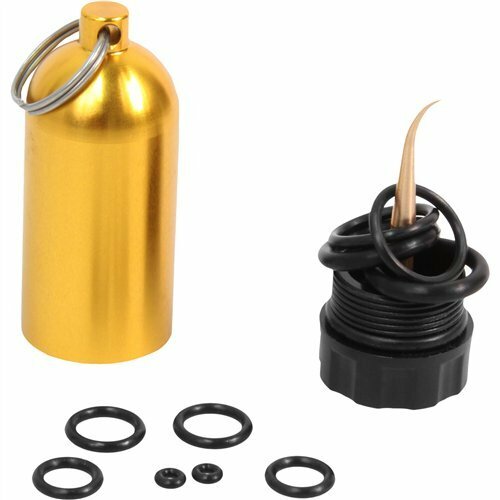 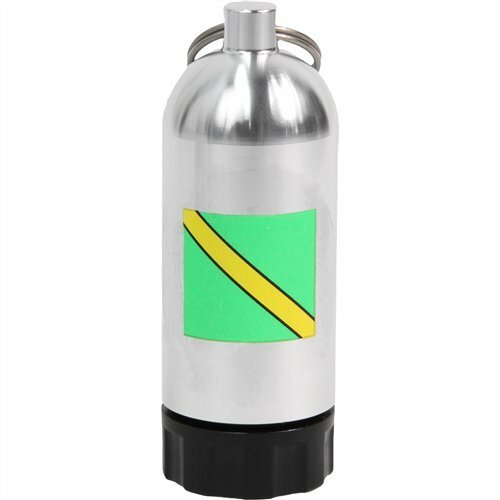 This great Mini Tank-O-Ring-Kit with Brass Pick comes with 10 common O-rings for valves, hoses and more. 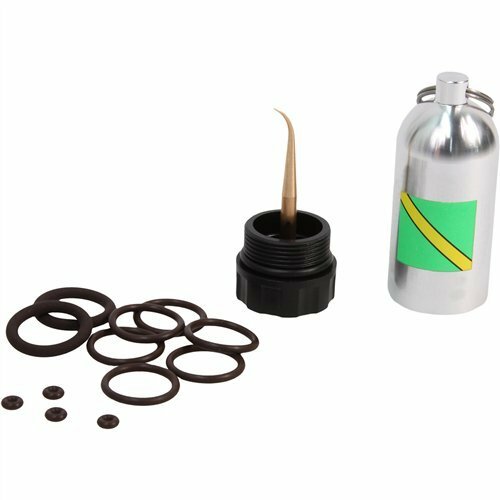 The threaded cap of the tank has an O-ring pick to remove old O-ring with ease. 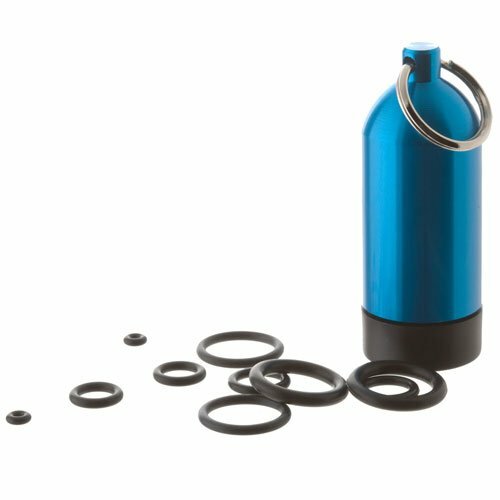 O-rings included are standard Buna-N rubber for air diving. 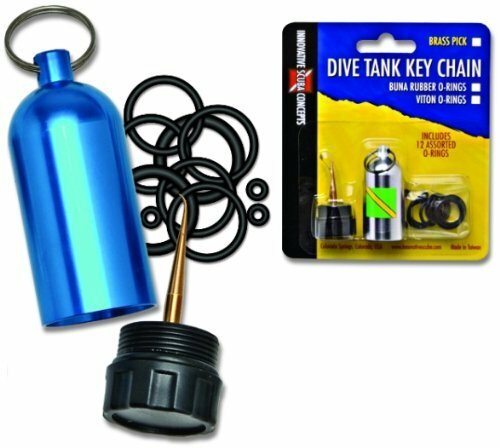 This kit is a must for your save-a-dive-kit.